Hydrocephalus in adults. EBSCO DynaMed Plus website. Available at: http://www.dynamed.com/topics/dmp~AN~T506596/Hydrocephalus-in-adults . Updated April 28, 2017. Accessed October 2, 2017. 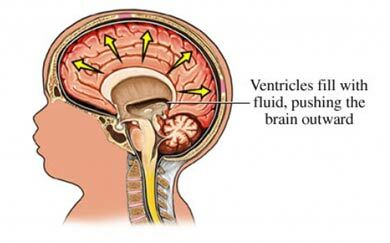 Hydrocephalus in children. EBSCO DynaMed Plus website. Available at: http://www.dynamed.com/topics/dmp~AN~T474411/Hydrocephalus-in-children . Updated April 28, 2017. Accessed October 2, 2017. Hydrocephalus fact sheet. National Institute of Neurological Disorders and Stroke website. Available at: http://www.ninds.nih.gov/disorders/hydrocephalus/detail%5Fhydrocephalus.htm. Accessed October 2, 2017.